Looking for some fine dining in Oranjestad, Aruba? Check out the Yemanja it has received the 2012 Award of Excellence from the travelers helper Trip Advisor. 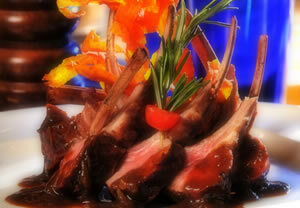 They serve Shrimp, Angus Beef, Pork Chops, Grouper, Duck, Chicken with a Caribbean Flavour. It is truly a wood-fired grill, using hickory and mesquite for exquisite flavour. This restaurant is easy to reach as it is just down the block from the Renaissance Hotel. Only two blocks from the yacht harbor. Of course they have both outside dining and an air-conditioned dining room. Friday night is happy hour with half priced drinks and a good wine list. With wines from France, Italy, Argentina, New Zealand and the Napa Valley,CA, you will certainly find something to your liking. They have a flair for presentation as the meals are photo worthy. With such entree's as Grouper Italiano with Gouda, and Herb-crusted Chilean Sea Bass among the favorite sea food entree's. Have a taste for some real meat? Why not try the Grilled Creole Pork Chop with mustard sage sauce or the Rib Eye with Chimichurri sauce. Oh yes, they have something for the vegetarians too. How does a Vegetable Tempura with a Sweet Chili Soya Sauce sound? And their signature salad mixed green salad with wood-fire grilled vegetables is for all to enjoy. So is your mouth watering yet? You haven't forgotten to leave room for dessert have you? The dessert menu is amazing and unique. Ever tried a Gran Mariner Creme Brulee with Orange Chutney? Or Walnut Ice Cream with Caramelized Walnuts and Hot Espresso? What a way to end a meal! Unless a little coffee is your way to end a meal. You will find delicious espresso and cafe au lait. If you prefer your coffee with a kick check out the Yemanja Mint Liquor and Chocolate or the Aruban Ponche Crema, just two examples of creative brews. You know its the islands so of course the kids are welcome. We have created meals with them in mind as well. They will get the same great wood-fired taste in child sized portions. The kids choice of potato, the beloved french fry is of course on the menu. And we haven't forgotten their love of pasta. So we've prepared that for them too. Yes, Aruba is beautiful and the sea is glorious but, you must get out of the water to eat. So when you do it should be just as relaxing and pleasurable. That is why Yemanja is here. Let us take care of your insides while our warm, sandy beaches care for your outsides. 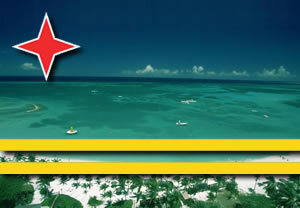 You find us on the web at www.yemaja-aruba.com where you will see beautiful pictures of much of our delicious fare. There you will also find the directions to our restaurant. We have also provided you with the opportunity to make reservations online. You may choose your desired seating inside non-smoking or al fresco smoking. Let us know if you are celebrating a special occasion. Most people visit the island of Aruba to relax in the warm sun. However, this island also makes a great location for a wedding. Before you can plan an Aruba wedding, you need to know about the top venues this country has to offer. Aruba Marriott Resort and Stellaris Casino is the perfect combination for your wedding and for entertainment. Right on the beach, this resort gives a couple a romantic backdrop for saying I-do. It would be hard to find another wedding location that would hold as many guests as Aruba Marriott Resort can. Each guest room has top-of-the-line amenities and stellar views. Stellaris Casino provides a playground for your guests to enjoy. Adult guests can also relax at the H2Oasis, the resort's private pool. Champions Sports Bar and Restaurant is a great place to grab a beer or burger. 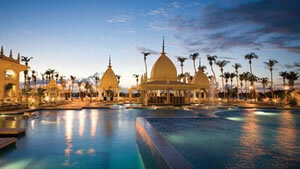 Another great Aruba wedding location is The Westin Resort and Casino. This 22,000 square foot resort can hold up to 1,000 guests, making it one the biggest venues on the island. Its location, five miles from Oranjestad and seven miles from Queen Beatrix International airport, makes this a convenient wedding spot. This resort has 481 suites and rooms, eight lounges and eating establishments, nearby golf, and a number of activities, both indoors and outdoors. The Westin Resort and Casino is on Palm Beach, where one can swim in clear water or relax on white sand beaches. Here, you have a number of choices when it comes to the exact location of your ceremony. If you want to get married inside, you can choose between Buena Vista Suite, Palm Beach Ballroom, Grand Ballroom, Lobby Gallery, or Lower Level Gallery. If the outdoors is more your speed, pick between the Sea Breeze Terrace, Sirocco Lounge, Beach Plaza, the pool deck or the actual beach! This resort is also home to a great casino. Renaissance Aruba Resort and Casino is an energetic, beachfront resort that will provide you with a wedding experience you will never forget. What makes this location different from others is that it is actually home to two resorts, Renaissance Aruba Ocean Suites and Renaissance Marina Hotel. Its sophistication is part of the reason why this resort is only for adults. Their 40 miles of beaches are only for guests of the resort. The resort has 268 high-class suites and 290 immaculate rooms, all of which come with bottled water, air conditioning, cable TV and a wet bar. 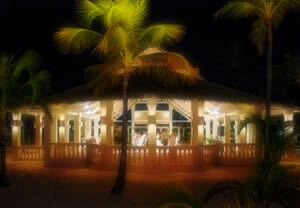 Renaissance Aruba Resort has eight different restaurants to choose from, all of which offer a variety of cuisine. If you need help with planning your wedding, the resort will even provide you with a wedding planner whose expertise on the resort will make your day special. In conclusion, the Caribbean island of Aruba is a truly magical place to hold your wedding. Now that you know about some of the many perfect Aruba wedding locations, you are one step closer to your dream wedding. The only problem you have now is choosing between these magnificent resorts! 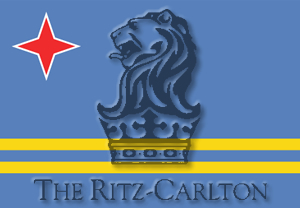 The Ritz-Carlton Hotel, part of the Mariott International Inc. is set to become part of the Aruba family. The Ritz-Carlton in Aruba is expected to open up in early November, 2013, so for those looking to travel to the great island – you now know where you will want to stay! The building will be placed on Palm Beach, on the east coast of Aruba. Aruba is well known for being a beautiful scenic area to visit, with a rich history and some of the most awe-inspiring views you can find on the planet, set just off of the lovely country of Venezuela, it has that fantastic movie feel to it, and is expanding all the time in tourism and facilities, with tourism being a huge part of the income of Aruba. The building will have an eye-watering three hundred-and-twenty guest rooms and a meeting area for people to convene to enjoy the day together. It will not only host rooms though, it will have four separate restaurants, various swimming pools, a casino inside the hotel and also a fitness centre – giving you ample opportunity to relax, have fun, or work up a sweat, all from the comfort of your hotel. Part of the massive Marriott brand, who own some of the greatest hotels in the world, it has at the time of writing 81 different buildings across 26 countries on the planet, however six of these buildings are in the Caribbean – proving the theory that these areas the real dream locations to visit. Aruba may now only be a place you are hearing about recently due to the tourism boom, but it’s history and culture goes back a lot further than that. The first inhabitants of Aruba were actually the Arawak tribesman of the Caquetios Indians, who have escaped from Venezuela to escape the vicious attacks of the Caribs. They chose Aruba due to the distance between it and the other islands, as well as the strong currants around the island. Back then, only sea travel was possible and it made getting there almost impossible for invaders to attack. In 1499, the Spaniard Alonso de Ojeda set foot on Aruba, becoming the first man from Europe to stand on Aruban soil. The Spaniards set up small colonies on the island, of limited size, and were surprised to find the lack of a plantation scheme among the Caquetios, and eventually enslaved them in the mines in Hispaniola. Eventually, the Netherlands actually became the rulers of Aruba, and remained under Dutch control from 1636 to nearly 200 years later. The capital of the island was formed during this period, Oranjestad. The country became briefly part of the British Empire, for intermittent periods between 1799 and 1816, before the Dutch regained control via negotiation, for a change. The Gold Rush of the early 1900s sent the island into a financial frenzy, with oil shipment facilities being made in 1924, and an oil refinery four years later. However, the real financial freedom of Aruba came when it boomed as a tourist attraction, and when the refineries closed in 1985, it became the main source of income of the entire island. The unemployment figures of the island are tiny, too, as they are more than happy for others to come and see the land they own and to enjoy themselves in Aruba, so most are employed in tourism. Aruba is made up of a mix of races, from South Americans, Caribbeans, Europeans and Far Eastern people all mixing together in Aruba, add that to the culture of tourism and you have a very unique and developed mix of different nationalities and personalities living together in harmony on Aruba.